Buy Shaw Carpet at Discount Prices from Portland Flooring & Carpet of Tigard (503) 388-6070 for Factory Authorized Sales & Installation of Shaw Carpets. Shaw Softbac – 10 year no wrinkle warranty – Helps insulate your floors. Easier installation and Does not scratch walls. Helps reduce noise. Anso Nylon- is Shaw’s premium fiber brand. For 40 years, consumers like you have trusted the brand for stylish selections and long lasting performance. Engineered to withstand spilled wine and dirty sneakers, Shaw’s Anso nylon is durable as well as gorgeous. In fact, whether you choose Shaw carpet made with Anso nylon, Anso Caress®nylon or Anso CrushResister® nylon you can be assured of a fabulous carpet you’ll enjoy for years to come. R2X Stain Treatment- R2X—it’s the industry’s most innovative carpet stain and soil repelling system and the product of years of research and testing. Shaw’s patented and exclusive R2X system goes beyond conventional repellents that only protect the surface of the carpet. We have far less claims with shaw carpet than we do any other carpet manufacture. Shaw feels like each and every carpet product is a representation of its self. Shaw makes sure that every carpet product shipped meets the highest standards. Shaw reuses over 94% of its materials. Shaw Carpets have the most innovative technologies of any carpet manufacture. Portland Flooring & Carpet of Tigard displays Shaw carpeting in our online showroom, and samples can be brought to your Tigard Home by appointment with one of our Estimators-Design Consultants . Shaw carpets, laminates, and hardwood flooring comes in hundreds of different styles, colors, patterns, and designs. At Portland Flooring & Carpet of Tigard we have Shaw flooring products that will meet any project and budget. If you are looking for a loop carpet, or eco-friendly carpet made almost entirely from post consumer recycled goods, Shaw has the right product for you. Shaw products are durable and we guarantee their installation. Shaw is committed to using recycled and eco-friendly materials as much as possible in the finished flooring product. Shaw’s carpets can add an affordable elegant touch to any room which is why Portland Flooring & Carpet of Tigard carries Shaw products. 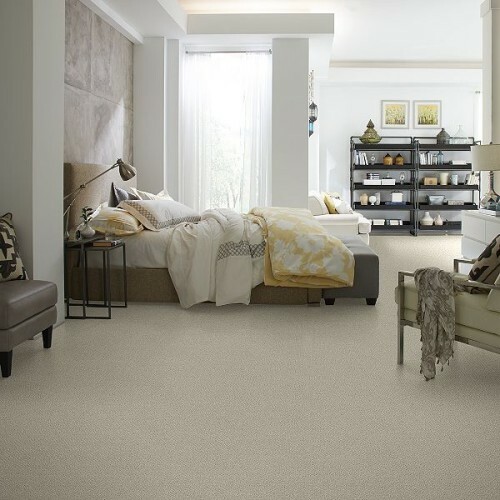 Shaw offers thousands of different carpet options for your home. Whether you want a relaxed look with smooth, twisted yarns, or uneven loops for more texture, or a more dramatic look with varying loop and cut height, Shaw has a carpet option for you. Other benefits to using carpet are it warms up room and reduces the cost of your heating bills. Carpet has been shown to insulate up to 17 times better than other flooring. Another advantage of carpet from Shaw that many find surprising, is carpeted rooms have lower level of dust allergens and have no negative effect on allergies. Complete your next project with one of Shaw’s durable, affordable and stylish flooring options. With hundreds of color, size, design, and pattern options, Portland Flooring & Carpet of Tigard offers this affordable carpet flooring at every budget. Shop for carpet from the comfort of your home. Browse online then fill out our online form to request samples and schedule a complimentary in home estimate with one of our design consultants. Let us bring the store to you!